What is Shinto? And how does one properly visit a Shinto shrine? Akbok, one of HubPages’ newest and most talented Hubbers, explains both in two different Hubs (A Shintoism Overview and How to Visit a Shinto Shrine). 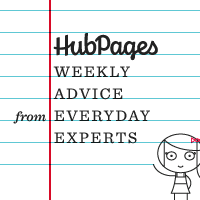 Join Robin Edmondson and me as we review these helpful guides in this week’s episode of Weekly Advice from Everyday Experts (Shinto 101) – and be sure to read Akbok’s other amazing Hubs, too!